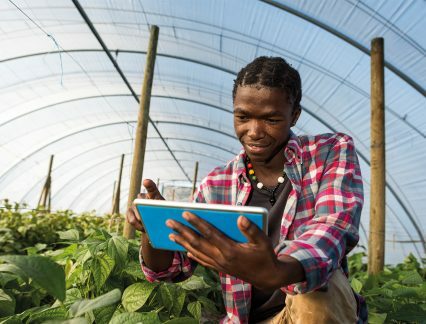 The Dutch development bank FMO has come together with fintech firm Above & Beyond to launch an innovation programme that aims to stimulate collaboration between banks and fintech firms and accelerate financial inclusion in Africa. FinForward is a nine-month programme that links banks in Africa with global fintech companies via an online platform. After being matched, FinForward will offer a sandbox environment where the parties can safely and securely test and integrate new financial technology solutions into the bank’s systems. Speaking to GTR, Andrew Shaw, a senior fintech specialist at FMO, says the platform works like a “business-to-business app store”, where banks can “plugin” new digital and innovative solutions and services to their operations. The initiative, he says, came out of an interview process with 65 of its financial institution clients around the world, who divulged their difficulties in finding, choosing, testing and implementing fintech solutions. “One of the things they told us was that they really want to understand how fintech works and how they can integrate with it, but they find the massive world of fintech quite confusing. They don’t know which are the right to integrate to,” Shaw says. FinForward will promote a range of solutions, from lending and alternative credit scoring to payments and cybersecurity. Shaw sees trade finance in particular as one of the key areas of African finance that could benefit from the programme. What links the fintech companies is their ability to help banks reach groups that have traditionally been financially underserved – such as women-owned businesses and small enterprises – giving them better access to the financial system and financing. EFL is one of the fintech firms taking part in the programme. It applies psychometrics and behavioural science (measuring borrowers’ character, abilities and willingness to repay a loan) to assess risk and make digital credit assessments of people who may lack the credit history that lenders usually require. About 100 fintech firms are already integrated into the platform from a previous programme run by Above & Beyond in Latin America. The initiators have now opened registrations for new providers and hope to “bring in some more Africa-centric fintechs and homegrown solutions”, Shaw says. The aim is to reach 200 solutions on the platform when the application round (which ends on November 25) and subsequent vetting process have taken place. FMO expects to bring on at least 12 African financial institutions from its client network to the programme, which is sponsored through a Dutch government fund for lending to micro businesses.